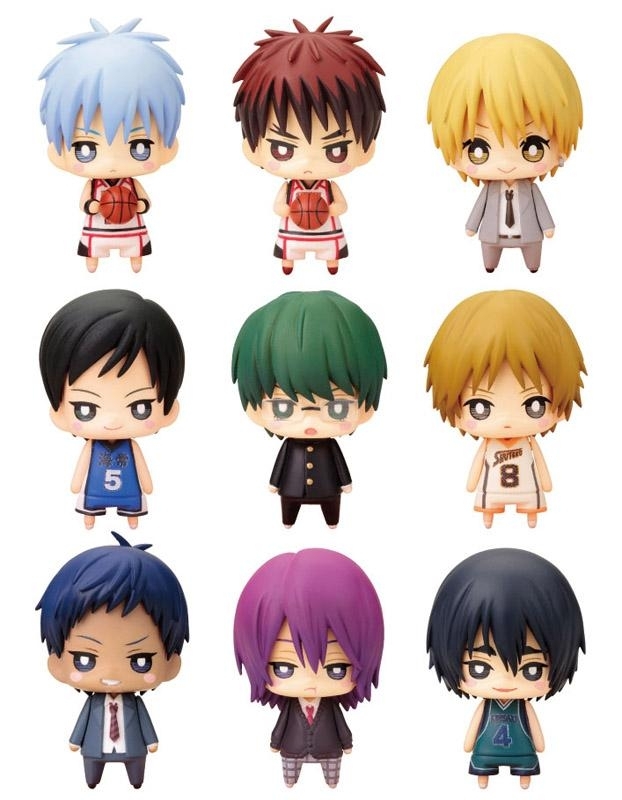 KUROKO NO BASUKE 3Q ONE COINS COLLECTION!!! TWO BOXES HAVE BEEN ORDERED!!! PLEASE GO AHEAD AND MAKE YOUR RESERVATIONS!!! Can I have Aomine and Kise? Hi C-chan!!! I have your Kise and Aomine 3Q figures!!! Are you ready to pay or would you like to add anything else to the order? Hey hey! Midorima is in!!! Did you want something else with him too? Let me know and I'll give you the total! Hi! 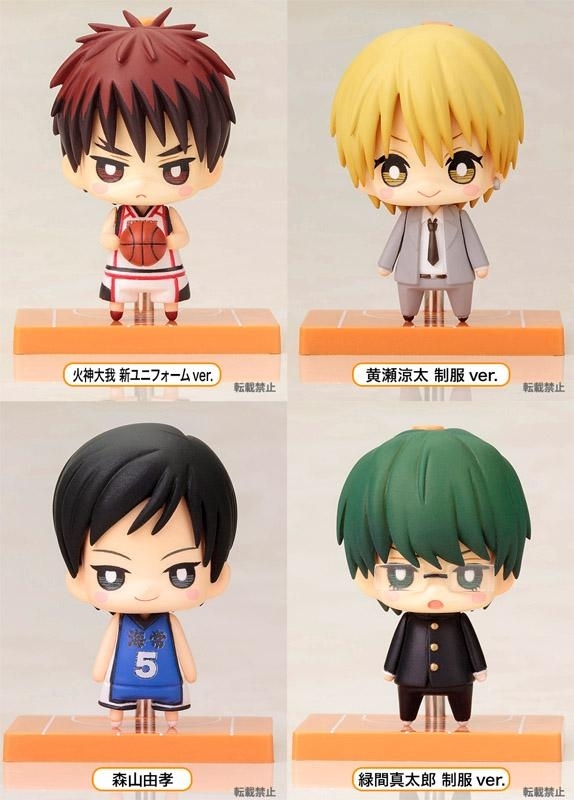 Is it alright if I get the last three of the box, Moriyama, Miyaji and Hanamiya? Though, Hangny will most likely steal Hanamiya away from me. I'm 100% sure of it. Could you put me down for Kise. I forgot that this pre-order was around actually. 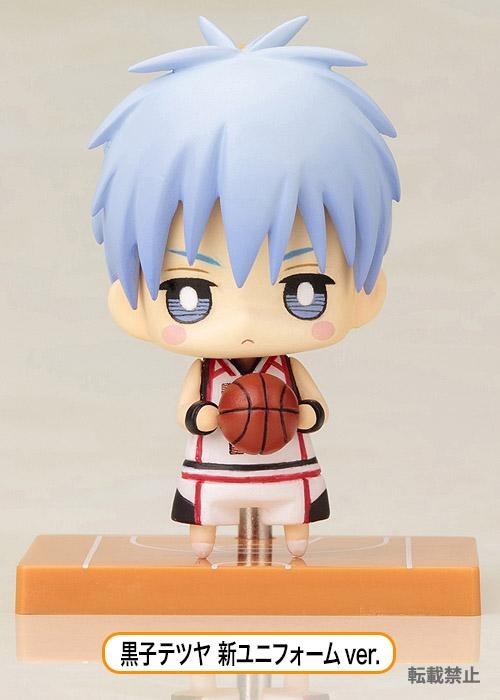 Could I order Kise - Aomine ? 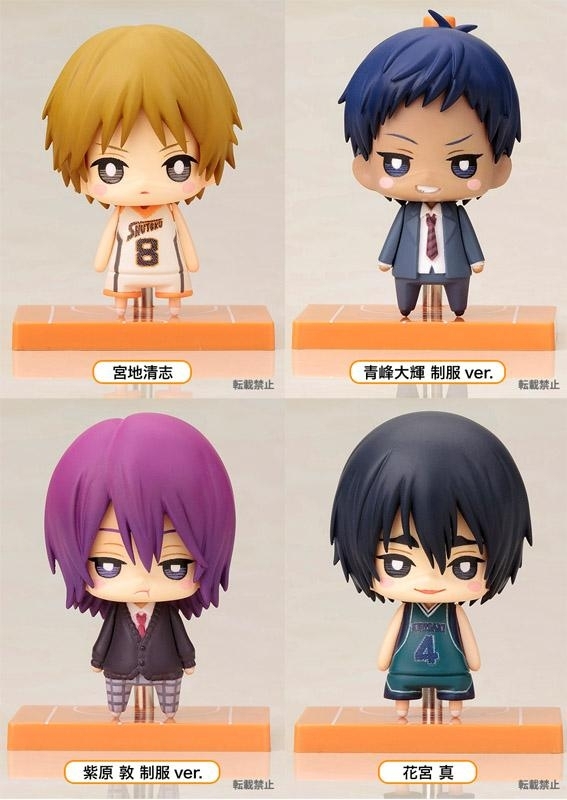 Hi, Kise and Aomine have already been reserved from both boxes, they are not available, sorry. Only five characters left from box two that aren't reserved, please choose from them if you're interested.